Did you miss our event with Lev Grossman? Watch it here, thanks to our media partner, RETN! 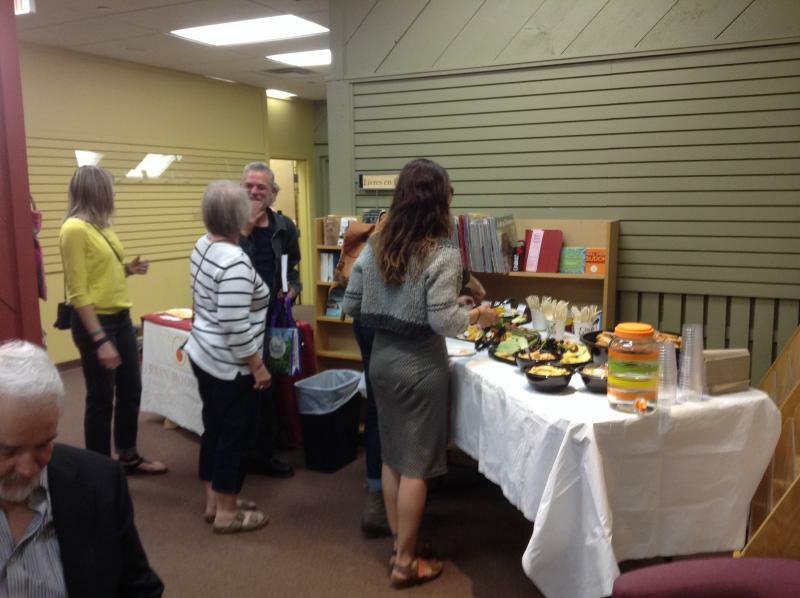 On May 28th, we celebrated the book launch for The Organic Medicinal Herb Farmer with Melanie and Jeff Carpenter, as well as special guest Rosemary Gladstar. Did you miss the event? You can watch it below, on RETN's The Authors! Thank you to our cosponsors - City Market, Urban Moonshine, and Zack Woods Herb Farm - for helping us make this occasion especially festive! Both a business guide and a farming manual, The Organic Medicinal Herb Farmer will teach readers how to successfully grow and market organic medicinal herbs. Whether you’re trying to farm medicinal plants, culinary herbs, or at-risk native herbs exclusively or simply add herbal crops to what you’re already growing, successful small-scale herb farmers Jeff and Melanie Carpenter will guide you through the entire process—from cultivation to creating value-added products. Using their Zack Woods Herb Farm in Vermont as a backdrop, the Carpenters cover all the basic practical information farmers need to know to get an organic herb farm up and running. The authors also provide fifty detailed plant profiles, going deeper into the herbs every farmer should consider growing. In an easy-to-understand, practical, and comprehensive manner, readers will learn how to focus on quality over quantity, and keep costs down by innovating with existing equipment, rather than expensive technology. Market farmers who have never before considered growing medicinal herbs will learn why it’s more important to produce these herbs domestically. The Organic Medicinal Herb Farmer makes a convincing case that producing organic medicinal herbs can be a viable, profitable, farming enterprise. The Carpenters also make the case for incorporating medicinal herbs into existing operations, as it can help increase revenue in the form of value-added products, not to mention improve the ecological health of farmland by encouraging biodiversity as a path toward greater soil health. "Found as a baby, on a bed of moss under an old growth tree, Cedar's beginning was a mystery. As she began her sixth grade year, Cedar resembled her namesake with her wild mane of brown hair, her sinewy body, and deer-like eyes. She makes her first true friend, a new student, Phillip, with whom she shares her special woodland spot along with the gifts it brings. "When Cedar falls suddenly ill, Phillip discovers that her health is connected to the fate of the forest where she was found. Their special woods are threatened by an impending development, so they create a plan to save it which includes a hospital, a getaway car, and a protest." Would you like an autographed copy? Quantities are limited, so give Phoenix Books Burlington a ring at 448-3350 so we can put one aside for you. 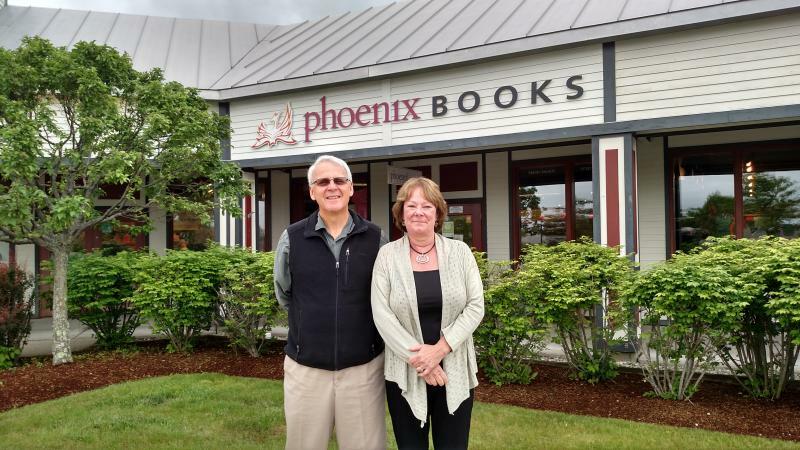 Mike DeSanto (left) and Tricia Huebner (right) at Phoenix Books Essex. 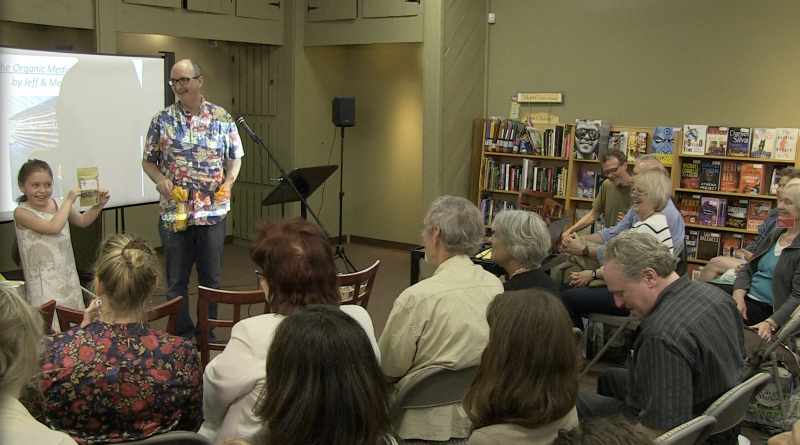 “Phoenix Books Rutland will be more than just a business – it will be a community gathering place, and Tricia is deeply connected to this community,” DeSanto said. “I and thrilled to have her to manage the store, and excited that her enthusiasm is so great that she wanted to invest. Having an owner onsite will be invaluable. Huebner is a longtime community leader in Rutland, serving in a variety of roles focused on improving community life, from Rutland coordinator for Everybody Wins!, a reading and mentoring program, to serving on the boards of the Paramount Theatre and the Rutland Free Library. Huebner volunteer work has also supported organizations ranging from the Rutland Area Farm and Food Link, RAFFL, to Rutland City Schools. She also worked at Rutland Regional Medical Center for 17 years in finance and human resources. The Huebners are among more than 50 local people and businesses that agreed to pre-buy $1,000 in books as part of the store’s community-supported enterprise business model, but Tricia Huebner wanted to do more. DeSanto and his wife and partner, Renee Reiner, decided to open the Rutland store following a recruitment effort by Green Mountain Power in collaboration with the City of Rutland and the Downtown Rutland Partnership. The 2,400-square-foot store will fill a third of the former Lake Sunapee Bank on Center Street, which owner Mark Foley is dividing to provide the perfect setting. To learn more about Phoenix Books, pre-buys and investment opportunities, call DeSanto at 872-7111. 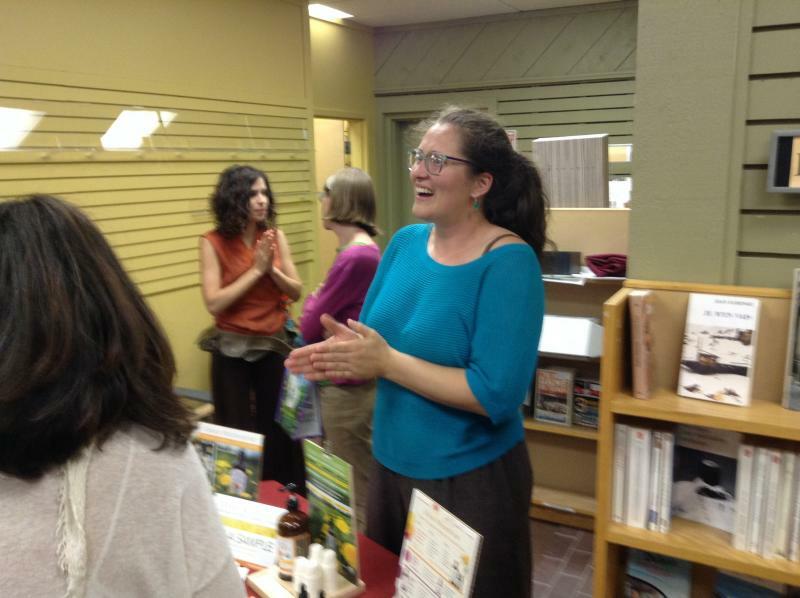 Community members turned out in force to celebrate Jeff and Melanie Carpenter's new book The Organic Medicinal Herb Farmer. 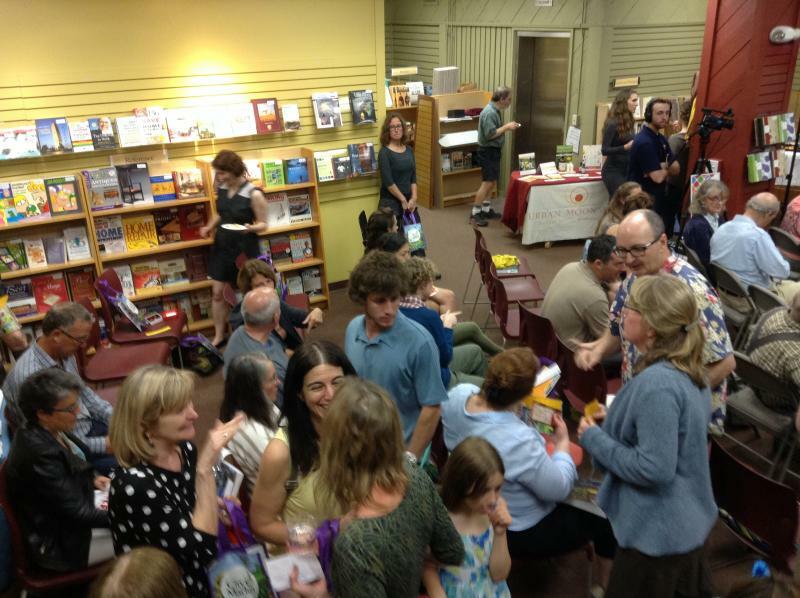 This standing room only event was such a success that we sold out of books! Don't worry, though: We'll have The Organic Medicinal Herb Farmer back in stock shortly, and in the meantime, give us a ring or order below if you'd like us to hold a copy just for you. Thank you to our cosponsors for this event, City Market, Urban Moonshine, and Zack Woods Herb Farm. Audience members arriving. The event was standing room only! ...as well as great prizes and favor bags. 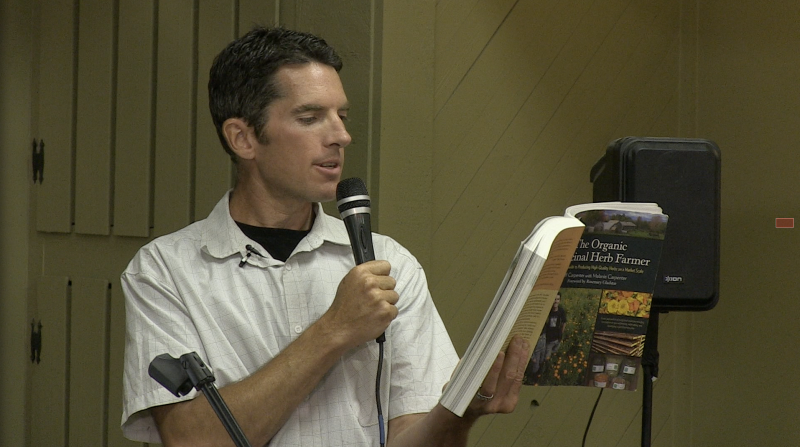 Jeff Carpenter reading a passage from The Organic Medicinal Herb Farmer. 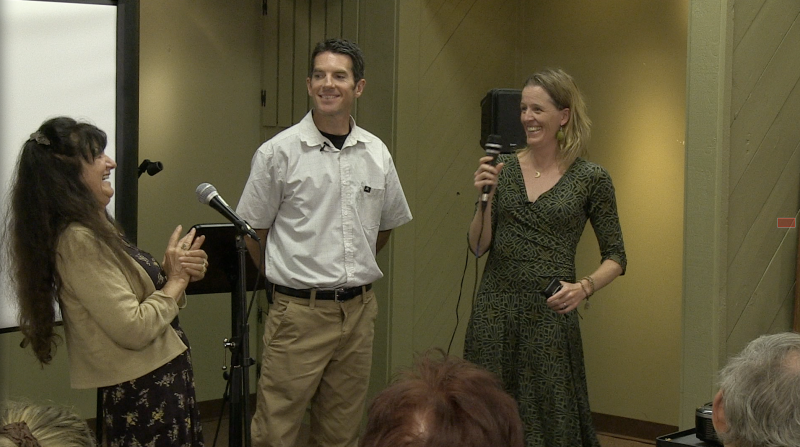 Jeff and Melanie Carpenter (right) were joined by special guest Rosemary Gladstar (left). Big smiles. 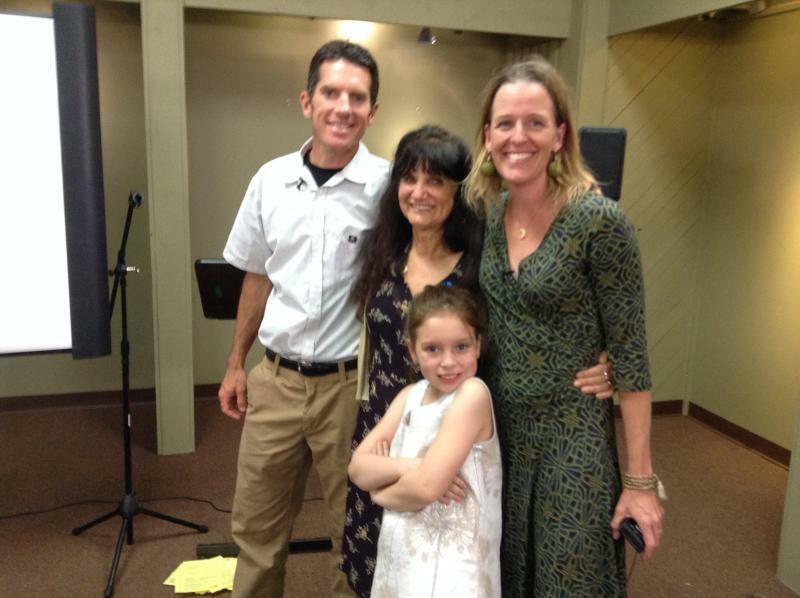 From left to right: Jeff Carpenter, Rosemary Gladstar, Lily Carpenter, and Melanie Carpenter. Our speakers were kept busy signing books! 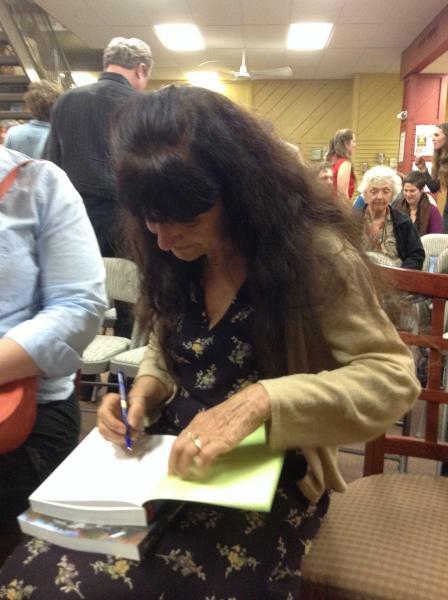 Left: Rosemary Gladstar. Right: Melanie, Lily, and Jeff Carpenter. 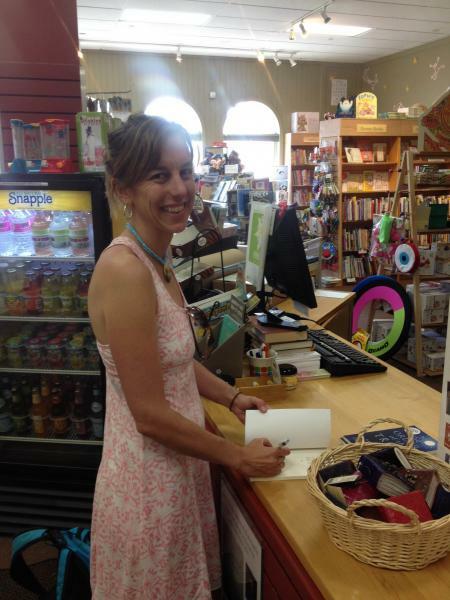 We've been having a great time here at Phoenix Books putting together prizes and swag for this week's happenings! 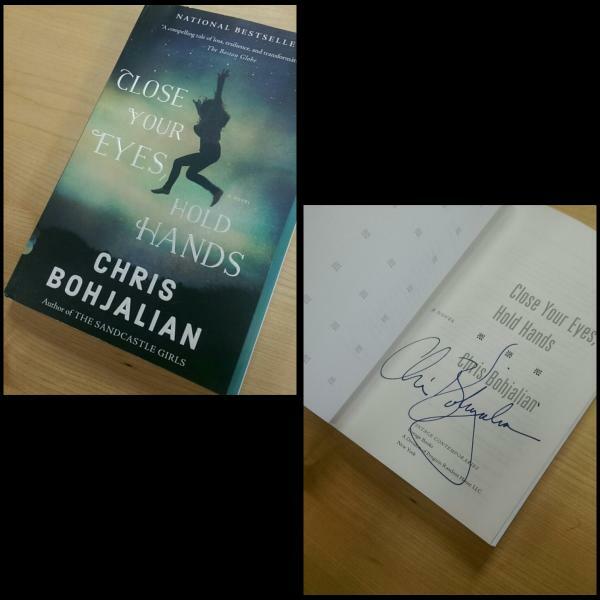 On Tuesday the 26th, we'll celebrate the paperback release of Close Your Eyes, Hold Hands with Chris Bohjalian Day, an all-day opportunity for fans to win exclusive collectibles from the author himself. 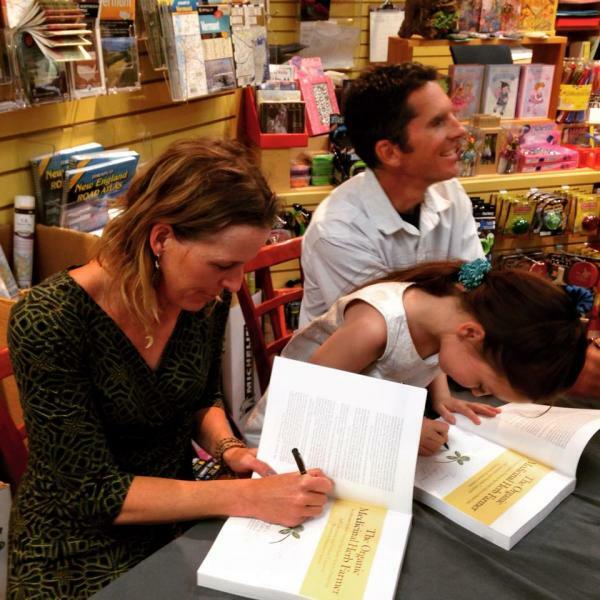 On Thursday the 28th, Phoenix Books Burlington will host the book launch celebration for The Organic Medicinal Herb Farmer with Jeff and Melanie Carpenter, special guest Rosemary Gladstar, and cosponsors City Market, Urban Moonshine, and Zack Woods Herb Farm. We'll have favor bags for the first 100 attendees in the door, as well as prizes, light fare, and a bitters tasting. It's looking like quite the festive week! For more information on both events, visit our upcoming events page. Top left: The fountain pen that Chris Bohjalian used to edit his novel, The Buffalo Soldier, complete with a pen case straight from Armenia (made of Armenian stone). 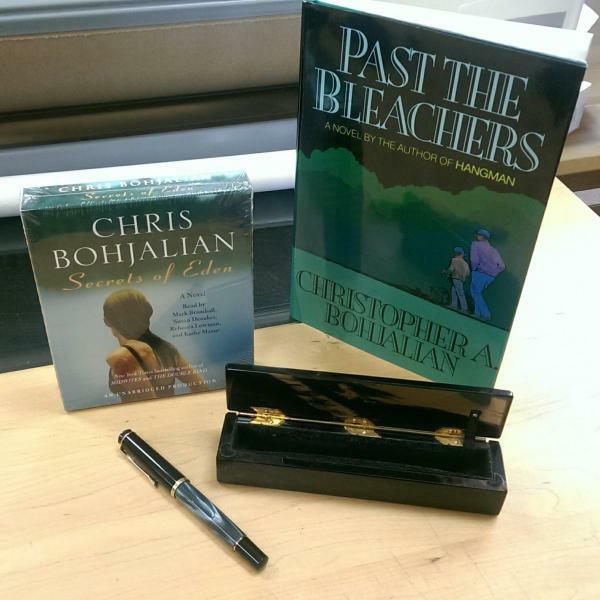 Bottom left: An autographed copy of the new paperback edition of Chris Bohjalian's Close Your Eyes, Hold Hands. 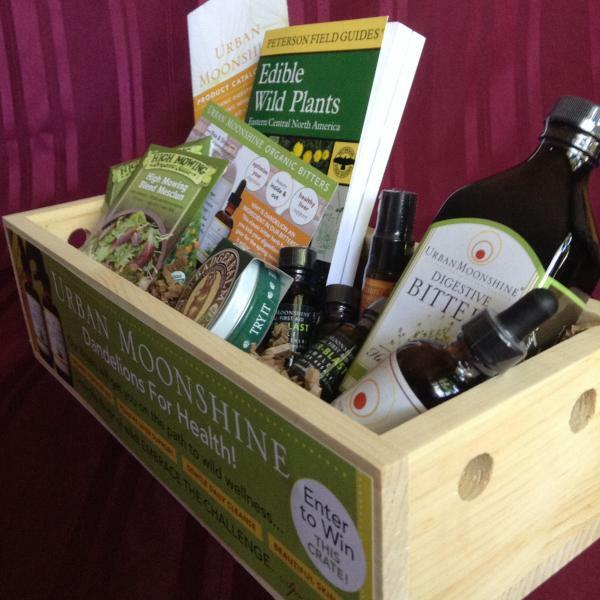 Top right: Prize package from Urban Moonshine, for the Organic Medicinal Herb Farmer book launch. 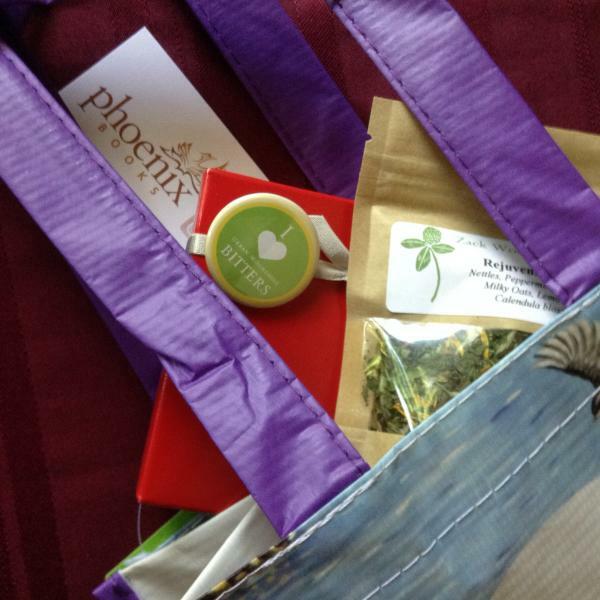 Bottom right: A glimpse at one of the favor bags for the Organic Medicinal Herb Farmer book launch, with goodies from our cosponsors. 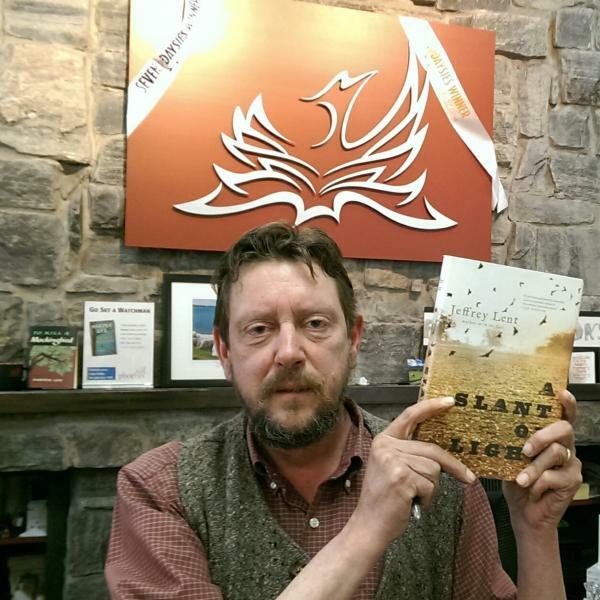 Vermont author Jeffrey Lent stopped in to Phoenix Books Burlington to sign copies of his latest book, A Slant of Light. Would you like an autographed copy? Quantities are limited, so give us a ring at 448-3350 (in Burlington) or 872-7111 (in Essex) so we can put one aside for you. Yesterday evening, Curious George himself visited Phoenix Books Essex for a story time and activities!